Horses were first domesticated in China around 5,000 years ago, but were not used as farm animals. No, they were for status, transportation and warfare. 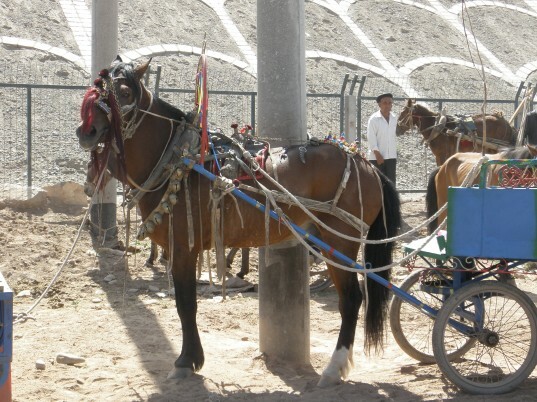 Thanks to strong and fast horses, the Chinese empire could expand and thrive for millenniums. 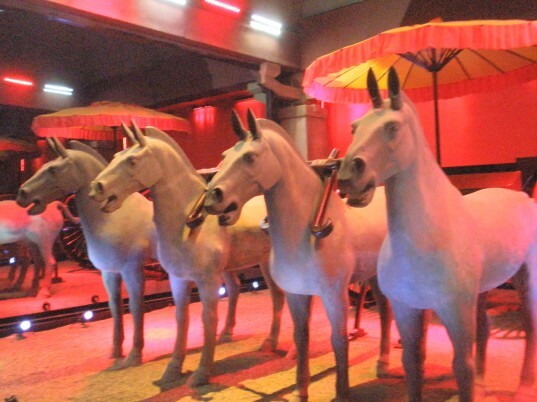 Xi’an has been the capital of China for centuries at the time, and the collection of horses here is priceless. 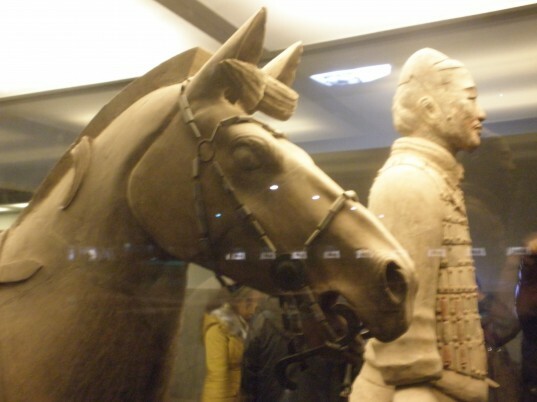 The best examples are the horses that were part of the first emperor of China’s underground army, the larger than life collection of almost 7,000 clay and bronze statues he was buried with when he died in 210 BC. This is undoubtedly the most famous grave in China, but l also highly recommend the nearby Hanyanling Mausoleum from 141 BC. The statues are smaller, but much more fun. Lots of doll sized soldiers, but also everything else the emperor needed on the other side, like plenty of farm animals and slaves. And horses to pull his carriage, of course. Almost a thousand years later horses were still a popular model for statues, this time for decoration. 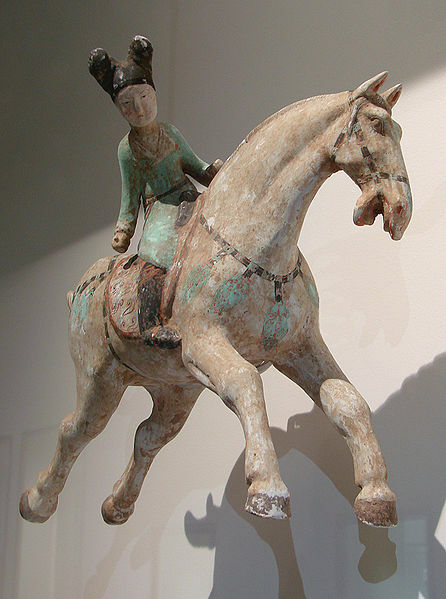 Tang-dynasty (618–906) horses are strong and beautiful, made in colored, often glazed clay. My favorite is the statues of aristocratic women playing polo, so much style and elegance. Don’t know if you can ride a horse around Xi’an, but you can ride a bike on top of the old city walls, and that almost counts. Horse riding is not a common sport among the general population, but here and there you can rent a horse for a day or a weekend. I went with Beijing Hikers to Bashang Grasslands in Hebei province, a few hours drive north of Beijing, and it was beautiful with horses grazing everywhere. The area is perfect for easy hiking and I still get The Hills are Alive on repeat in my head when I think about it the soft, green hills covered with pink flowers. I even almost enjoyed the few hours we went riding, he he, and wished I was brave enough to gallop with the wind blowing through my hair. 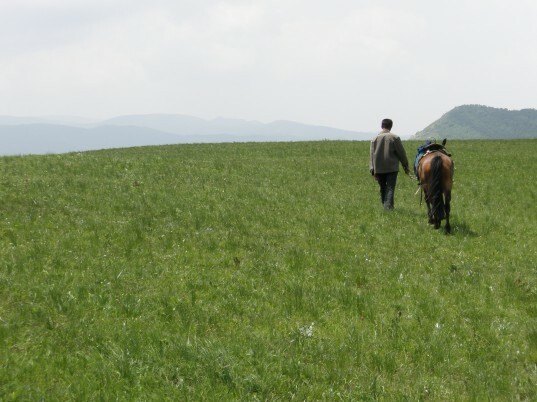 Many tour operators also have trips to Inner Mongolia with horse riding included. Talking about Inner Mongolia, this is where the regions most famous riders are from. During the traditional Mongolian festival Nadaam you can watch kids and young adults test their horses’ speed and endurance. The races are between 10 to 18 miles across the flat grasslands and they ride without a saddle. Other activities to watch during Nadaam are Mongolian wrestling and archery, and should not be missed either. No, please don’t buy a live horse. But it is tempting, if you find yourself at Central Asia’s biggest animal market right outside Kashgar in Xinjiang province. This is mainly muslim area, so by numbers it seems like most people are here to buy goats. Or get a haircut, a new guard dog and maybe a camel if the season is right. They also sell horses, and handmade equipment for horses, beautifully decorated with tassels in different colors. 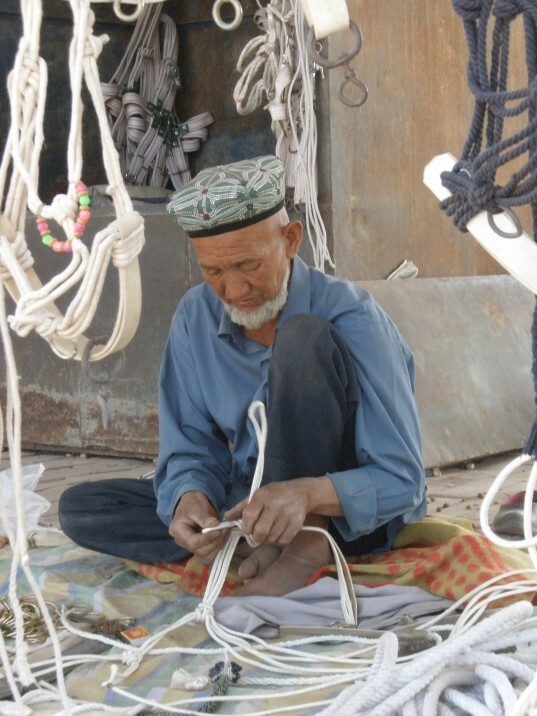 Kashgar is an amazing place and well worth a visit, even if you have to leave without a horse. Traveling is expensive and it can be tempting to try to add some cash to your budget. Gambling is illegal in China, but you don’t have to go further than to Hong Kong to test your luck (or skill, if you like). During a year, the two race courses in Sha Tin and Happy Valley, have a total of 83 race days, and betting on horses is by far one of the most popular ways to depart with your money in Hong Kong. During the season 2 million people come and watch races and together with online betters they spend a staggering $12.1 billion. Woah. If you would like a slice of that pie, please bet responsibly, I don’t want to see you walking the streets of Hong Kong broke! 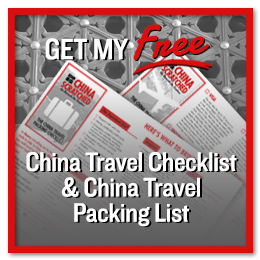 I love to write about Chinese food, but this time I’ll give it a pass. Horse is one of the very few animals they actually don’t eat (except for a few places down south). It might be because the horse meat qualities are not good for the human body or because of the horse’s special status among the Chinese. Either way, eating is NOT one way to include horse to your trip. I can’t say I have ever planned a trip so that I could include horse riding, but after writing this I realized there are many fun things you can do if you follow the horse. As you should do, in The Year of the Horse, right? 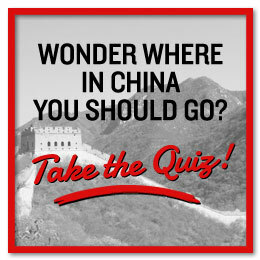 Where would you go? If I could choose I would head straight to Hong Kong, and then start planning for this summer’s Nadaam. Hi Christine- I love horses! They’re are so beautiful. I have had the experience of learning a lot about myself and my energy in the world through interacting with horses. Glad you enjoyed it, Dana. I think you would love to see the statues, they are so beautiful. Thanks for writing about horses and traveling, I do it every chance I get. My daughter and I went to the Dominican Republic a few years ago and took a guided tour on horses, it was the highlight of our trip. That is great! 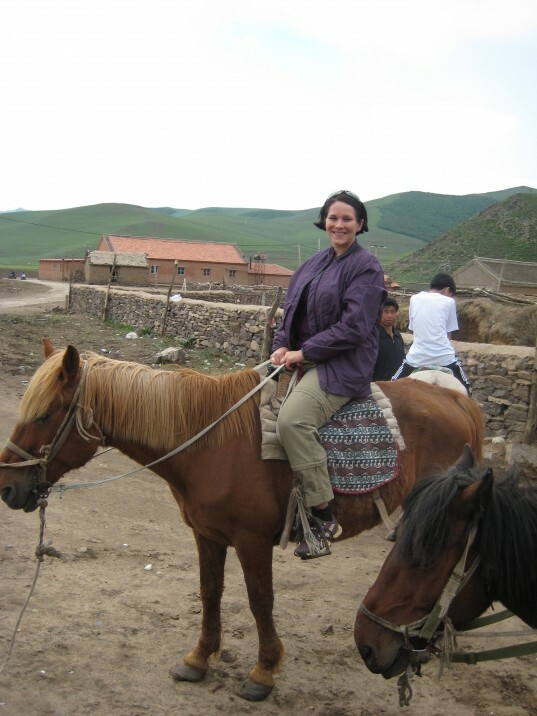 My only mother-daughter riding experience I have was when we rode camels in Inner Mongolia, also a lot of fun! Great post! It is really neat to hear about horses throughout China. I love how you share about the culture as well as your own adventures. Definitely a fine tribute to the year of the horse! Thank you! Beautiful blog post about horses! My daughter and I celebrated Chinese New Year at the Museum of Chinese in America (MOCA) in New York and she learned how to write horse, which happens to be her favorite animal. I’m gong to show her your post after school. I know she’ll just love it. Thank you! It is always fun to see a country from a different angel, and from the back of a horse is definitively one way to do it. I think horses are beautiful and amazing creatures. Never owned one & probably never will. I haven’t been on a horse in many years. Last time I was, he took off and scared the crap out of me. I was fine and we carried on, but I probably need to take some lessons before I do it again. I understand how you feel. Let’s say I didn’t actually gallop over those grasslands, but as we found a rhythm of sorts, it was quite enjoyable! 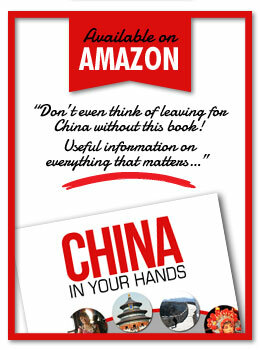 Even if you don’t go riding in China, I hope you get to ride a horse soon. I’m a little envious of people who have strong connection with horses, they are amazing animals!